As a Haircolorist, I always try to suggest to my clients that old rule of thumb for hair; change to lighter brighter hair colors for spring and summer. Highlighting is one way to add some pizzazz to your hair. For brunettes and redheads, warm golden or caramel color highlights would be a great compliment on brown or red hair and will make the color rich. 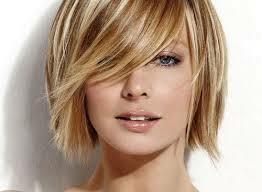 For blondes, a heavier highlight around the face in pale or platinum shades would give a sun kissed glow. Red hair color is making a comeback and it’s the latest color trend for this year, if you’re up for a total change! When it comes to hair color, always, always, consult with a professional. For more tips about hair and beauty, follow me on Pinterest. This entry was posted in beauty, Blog, Cosmetology, Hair, Hair colors for spring and summer, Hair/Beauty, Haircolor, Hairdresser, spring hair color trends, The Beauty Industry, Triva and tagged Beauty, Cosmetology, hair, hair colors for spring and summer, haircolor, spring hair color trends by judydeluca. Bookmark the permalink.